WHAT A JOY TO SEE GOD’S POWER…..
Forty years on from the beginning of this life, I don’t think I’ll ever tire or cease to be amazed at just how much God loves us, and how much it is his desire to bless us with healing. I’d love to be able to answer the question ‘Why doesn’t he heal everyone?’ and even add ‘Immediately’ to the end of that question, but I can’t (as has been my own personal experience), and I don’t think I know anyone who can answer it categorically. There are all sorts of reasons why…. but he seems to be doing it more and more in this country (United Kingdom!) and it’s SUCH a privilege to be on the end of God’s ‘extension lead’ when he chooses to move in healing, miracles, and power, through his grace, mercy, and promises. I arrived at this year wondering if, following 10 months pretty much out of circulation, I’d have been forgotten by people who used to invite me to their meetings, churches, countries…. I’m grateful to have a number of invitations in the diary, and look forward to more, not because I have a need to preach, but because I love people and want to pray for them to see them released from sickness and disease. So it’s been a joy to get back in harness and see God do just that. Last weekend I had the privilege of being in Hunstanton, Norfolk, with long-time friends Dennis and Cathy Acott, who themselves have a wonderful healing and impartation ministry (www.eagles4031.org.uk) at their lovely church, The Way. It was a privilege to have the opportunity to go there (thank you Chris, Gordon, and Jill!) and, with a couple of friends from Eastgate, my new home church, see God touch some people very powerfully, with deaf ears opening, osteoarthritis healed, sacro-ileac back issues begin to begin to be healed, muscular shoulder pain go, and lots more besides. 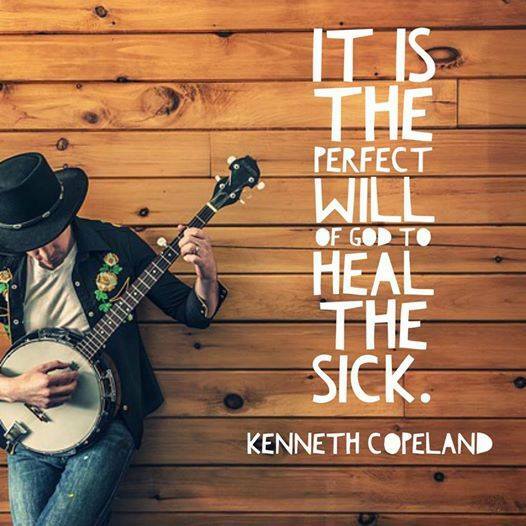 I am still in awe after all these years that God spoke so many years ago about me seeing the sick healed all over the world, and he’s doing it in the good old UK, too! I love being back in action after last year, but very conscious, after prophetic words about an increase in what God’s going to do this year, that the enemy would ‘assault’ – and for 36 hours, I felt like I’d been hit by a bus. But I want to say that I wouldn’t swap what I do for all the tea in whatever countries a lot of tea comes from! It’s probably politically incorrect to use the old phrase with the country beginning with C in it!! I’m learning (it’s taken a long time!) to try and manage my body better, especially the knees/legs: for me, the temptation is to do more when they feel a little easier (they’re not at the moment ever pain-free, but sometimes it’s less than others), so I had an early night as they always improve with being horizontal, and have resisted the urge today to continue to get the flat/apartment in better order. It frustrates me that it’s taking so long, but the knees have slowed me down, I know without doubt that moving is high on the ‘stress’ scale, and that lifting/carrying/moving things involves knees in ways I never realised until mine hurt a lot! My own testimony, as many of you know, is that for 10 months last year, I mostly couldn’t walk, even from my living to the kitchen, which really wasn’t far at all. Occasionally, with help, I could stagger out to have a coffee, but pay for it later with a lot of pain and even less mobility, until a lovely man, Robert Miller, who didn’t know me, came a long distance to pray for me one afternoon, and the next morning I could walk – not without pain, but my legs moved and carried me. I never ‘voiced’ or wrote this last year, but I was ‘warned’ by medics that, due to the damage done to my right knee by a consultant, I might not walk again without major reconstruction of my leg. I never mentioned it because I wasn’t going to give the enemy the ‘privilege’ of voicing what could have become a major fear for me if I’d ‘come into agreement’ with it, and chose to believe that I would – and I can! Sometimes, now, without a walking stick, though as my knees have changed the shape of my legs, they’ve also flattened my feet, so the stick is good for balance. I never realised the value of arches until the past few years! So invitations are coming in: I’d love to come to your church – or country if God gives the green light – and be involved in seeing the Kingdom of God come in power and heal people, save people, and set people free from whatever ‘prison’ they are trapped in. Email me – paul@paulbennison.com – or phone me (a private message or email will have the phone number winging its way to you). I long to see God’s Kingdom come on earth as it is in heaven, having prayed that prayer for more than half a century! I’d value your prayers for accelerated healing, and also that God will increase the support I receive – having lived in England for a few months again after 12 years or more away, it really is much more expensive than I ever imagined, even being aware that it would be more expensive than Northern Ireland, As you know, God told me 40 years ago I was never to charge for ministry engagements – ‘freely you have received, freely give’ seems to me to be immovable – and offerings are greatly appreciated when I do preach, as is the regular support of people who follow and appreciate what I do. If you can be one of those (if you’re not already) then let me know, and I’ll tell you how!